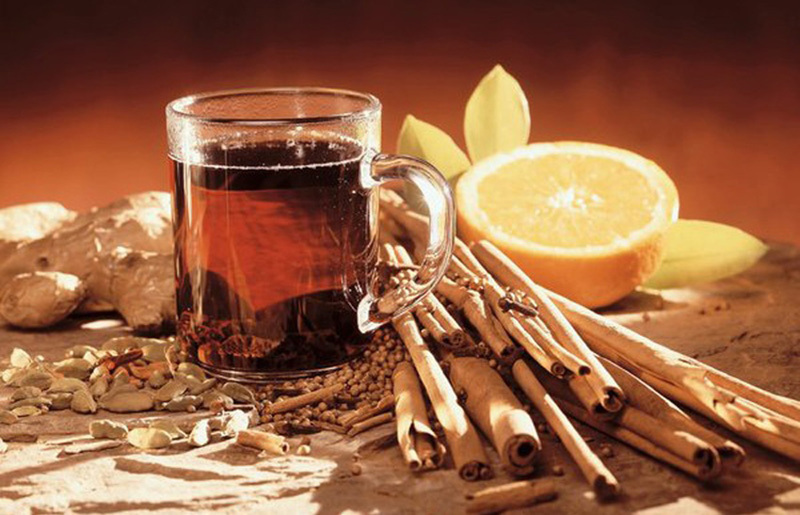 By making a cough-drink yourself of cinnamon and ginger, you can healthily tackle colds. Cinnamon and ginger are two very good medicinal spices. You can use them to get rid of your cough. In this article, you will learn how to make a homemade cough drink of cinnamon and ginger that can benefit you get rid of your cough. You will also learn all the other health benefits of cinnamon and ginger. Get rid of your cough Coughing is a physical reflex, intended to keep the airways free. Some people, on the other hand, suffer from a chronic cough. There is also a kind of a cough that occurs at night and makes sleeping difficult. However, there are also some homemade remedies that you can make with cheap, easily available ingredients. Cinnamon is an exotic and fine spice that is used around the world with cooking. It makes sweets and desserts sweeter, for example, cookies, ice cream, puddings and creams. It can also be used in a wide range of stews with meat and fish. But few people know about the great health benefits of cinnamon. Helps firstly reduce coughing and sore throats and help to prevent you from catching a cold or getting the flu. Supports digestion and relieves digestive problems such as flatulence, nausea or heartburn. May also help to lower blood sugar levels. This makes it an excellent treatment for people with type-2 diabetes and people with insulin resistance, although more research is needed. Can also lower the cholesterol levels in your blood, works against infections and has anti-inflammatory properties. Is also an antioxidant and is considered a natural stimulant without side effects. Ginger is a spicy and refreshing exotic carrot. It is generally used in Asian cuisine due to its digestive properties. It works well in all kinds of dishes. Ginger is also well suited for the absorption of nutrients. This makes it the ideal seasoning with every meal. Like cinnamon, ginger offers many great health benefits. Reduces clogged airways soothes cough and warms the throat. Also has antibacterial properties and works anti-inflammatory. Improves digestion, reduces flatulence and soothes heartburn. Also helps treat constipation, stimulates your body and speeds up the metabolism. Is an aphrodisiac, stimulates breathing and strengthens the immune system. Binds the battle with free radicals and helps women regulate the hormone balance. The best sweetener for our cinnamon and ginger cough drink is honey. The excellent nutritional value of honey makes it a powerful antibiotic. It can also be very effective in the treatment of breathing problems. The antibacterial and anti-inflammatory qualities make it a good remedy for a dry cough. It is therefore not without reason that honey forms the basis of many natural cough drinks. We therefore much prefer honey as a sweetener instead of sugar. There are two ways to make this cough drink of cinnamon and ginger. You can use cinnamon sticks and whole stem ginger by cooking them for a quarter of an hour. Let it rest for 10 minutes before you drink it. However, you can also use ground cinnamon and ginger. You only have to boil the water, add the cinnamon and the ginger. Let this take about 10 minutes. Whichever of the two you choose, both options are very effective. As soon as the drink is warm, you can make it sweeter by adding honey to taste.